Over the last three months, flooding has dominated the news agenda. Whether you’re involved in a flooding incident or not, it can sometimes be difficult to imagine what’s happening on the ground. This photo was taken on the afternoon of the 14 February and the river level behind the flood wall was up to the bottom of the top row of blue bricks, approximately 100 mm (4”). I can’t start to explain how scary this looks, when you’re stood two metres away from the wall! At this stage the river level was still rising slightly and there were three more high tides to come through. Whilst not apparent in this photo, gale force winds arrived later in the evening, producing waves that lapped the top of the wall. As a media spokesperson for the Environment Agency, I spent the evening there with a couple of camera crews, hoping that they would have nothing to film apart from the brilliant job our defences were doing. Not the most romantic Valentine night I’ve ever spent, but one which warmed my heart in a different way. It was great to see our defences protecting folk, who for days had been concerned about whether or not their homes would once again be destroyed by the River Severn. I’m pleased to report that on this occasion they once again did their job. I’m also delighted to report that many of the residents in Alney Terrace have their own protection measures and there was plenty of evidence of flood boards, air brick covers and pumps. Our teams were there throughout the duration, manning a pump and constantly monitoring the levels and bringing reassurance to the residents, who were surprisingly chipper, given the circumstances. 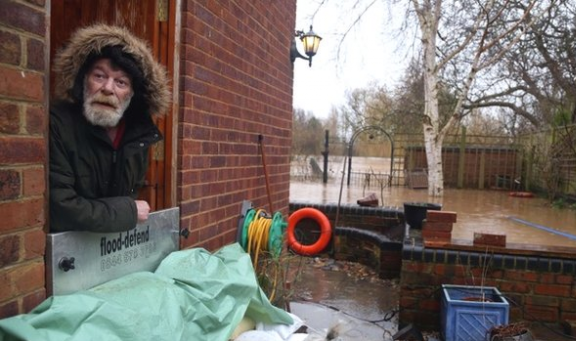 Without our defences, there would have been around a metre of water in 55 houses and more than 20 mobile homes. I’m sure it will be of no surprise that the good folk of Alney Island think we’re doing a great job! In fact, everywhere I’ve been during the last few days, I’ve had people coming up and thanking us for the great job we’re doing. It can sometimes prove tricky when facing the press, but thanks to the fantastic work my colleagues do, it’s usually a pleasure to be able to share our story. Roy Stokes is a Project Manager in the Environment Agency's Midlands team. 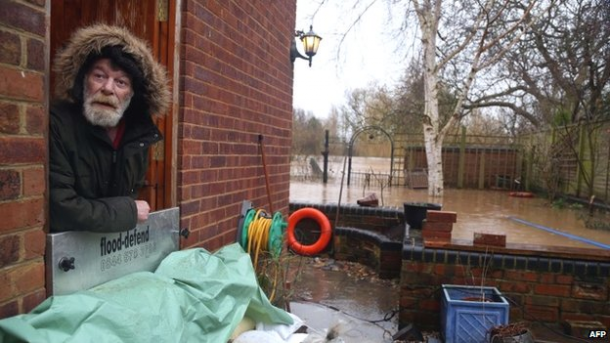 As the River Severn rose in response to extreme weather in early 2014, he was on the front line providing media briefing and interviews.